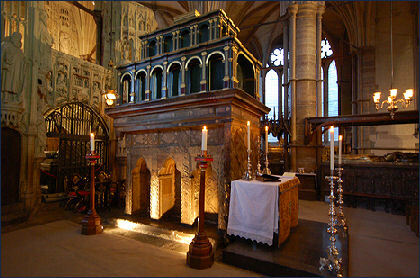 A pilgrimage is an enriching and spiritual journey to a place of special significance in the life of the Church. From earliest times Christians have been going on pilgrimage to many places throughout the world – to the Holy Land to experience the place of Jesus’ life, death and resurrection, to places closely associated with the gift of leading and the intercession of the Blessed Virgin Mary, including Lourdes, Fatima, Medjugorje and in the United Kingdom to the Shrine of Our Lady of Walsingham in Norfolk. Other holy places of pilgrimage include Santiago de Composetela in Spain, so closely associated with St James the Apostle and to which many have walked and been enriched by taking the famous Comino path, to Subiaco and Montecassino following in the way of St Benedict and to Assisi in Italy and the holy places associated with St Francis. 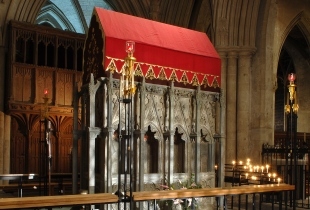 Back here in the UK there is the Shrine of St Edward the Confessor in Westminster Abbey, Glastonbury in Somerset and as near as the Shrine of Our Lady of Willesden. 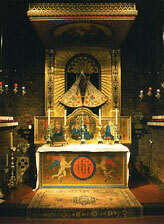 Here at Emmanuel our members have been to many of these places, but as a parish we go on pilgrimage to the Shrine of Our Lady of Walsingham in Norfolk and on the national pilgrimage to the Shrine of St Alban, the first martyr of our lands, in the Cathedral and Abbey Church dedicated in his honour in Herfordshire (and where Fr Jonathan was ordained back in 1993). If you’d like to come on pilgrimage with us some time, details of these are given in the newsletter and in special publicity produced during the year.